“It Was Too Good to Last,” He Thought. 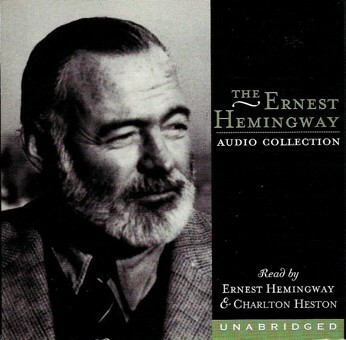 Hemingway’s amazing novel The Old Man and the Sea reads better than even actor Charlton Heston can read it aloud – he, with one of the most amazing voices of all time. He doesn’t read it as well as I hear it in my head. And that’s a good thing. It means Hemingway’s novel needs nothing else to bring it to life. It is just fine as it stands. Charlton Heston’s audiobook version adds nothing to the novel and, as a matter of fact, detracts from it. That’s how good Hemingway’s novel is. The old man’s head was clear and good now and he was full of resolution but he had little hope. It was too good to last, he thought. He took one look at the great fish as he watched the shark close in. It might as well have been a dream, he thought. This book is an incredible portrait of man against nature. But it’s vastly more than that. Resolution. This book illustrates what can happen when people man-up and do what they set out to do – and in a far more memorable and motivating way than any glossy photo with the word RESOLUTION printed under it that you can find as a framed poster in a motivational store can do. Did the old man “win”? Did his resolution end with him getting what he wanted? No. But that’s not the point. The point is he tried – nearly to the point of death. What kind of book would this be if the old man saw that he was getting too far out to sea and chose to cut the big fish loose and return inland? I often read this book hoping the old man (Santiago is his name) would bring in the big fish, intact. But Hemingway’s worldview that the cards are always stacked against you preclude such an ending. Yet, that’s okay this time (as opposed to the ending of A Farewell to Arms which seemed gratuitously depressing) because it creates a book both poignant and inspiring. I can’t sing this book’s praises highly enough. This is literature with a capital L. If Hemingway wrote no other book – just as Margaret Mitchell wrote no other book than Gone With The Wind – he would go down in history as a brilliant writer. NOTE: This was Hemingway’s last major work of fiction published before his death. 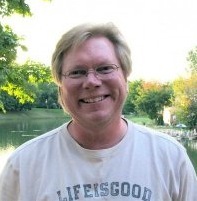 The three subsequent novels – Islands in the Stream (1970), The Garden of Eden (1986), and True At First Light (1999) – were all published posthumously. Thanks for sharing! I heard the Harry Potter audiobooks were good, though I still think reading is better and allows the person to use their imagination more to visualize the story. You’re right. 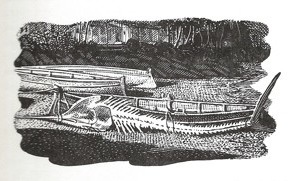 One of the saddest/funniest images I can think of is the fish skeleton lashed to the boat. I haven’t read Life of Pi, although I’ve heard good things about it. The Harry Potter audio books are fantastic. In fact, that’s how I “read” the middle three or four books. I drove around a lot and listened.